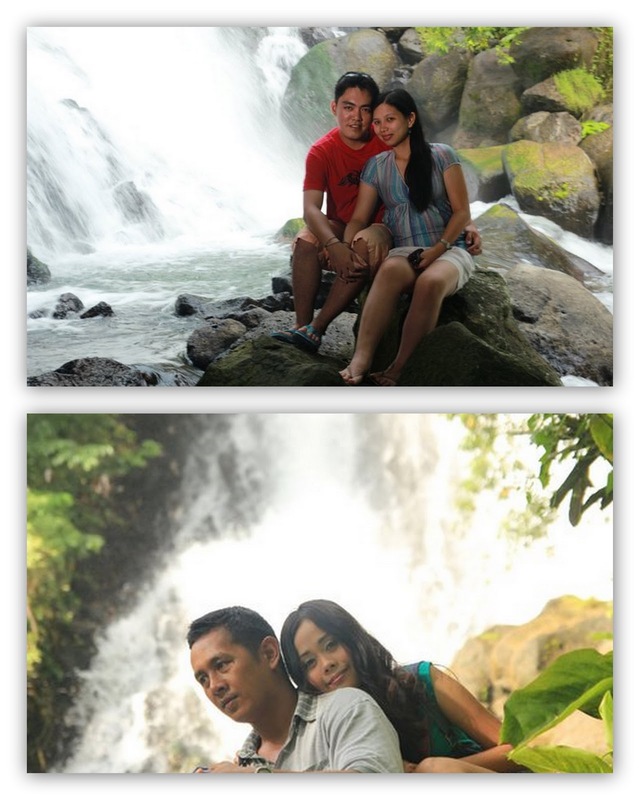 This is I think is the falls that has an easiest access of all the 23 water falls in Iligan City. You can probably go there any time, to swim or just simply witness the beauty of Mimbalut Falls. One of the best things you will enjoy in Mimbalut Falls is that you can easily access the area where the water falls are and there you will enjoy the water massage on your back as the water falls above you. Unlike Maria Cristina Falls, the water current from Mimbalut Falls is not that strong. Or you can just deep yourself in some of the jacuzzi like spots in the area. A Lagoon like feature is also available is you wanted to swim from one point to another. A lot of lovers do their pre-nup shots here, because it's scenic. You may witness locals doing their laundry on the side. So if you're a traveller who needs free laundry, you can actually laundry your things there, and hang it on the side to dry, while you enjoy the cold waters of Mimbalut Falls. The beauty of the falls is quiet hard to describe however, if you happen to visit Iligan City, this is a destination you shouldn't miss. No entrance fees and less travel time. The locals built some cemented tables on the side for use. If you opt to use that there maybe is a fee. However, if you're not really staying that long you can just make use of the rocks on the side. :) Don't forget to bring some food if you intend to dine there, there are no stores around if you access the falls using the Mimbalut Road. 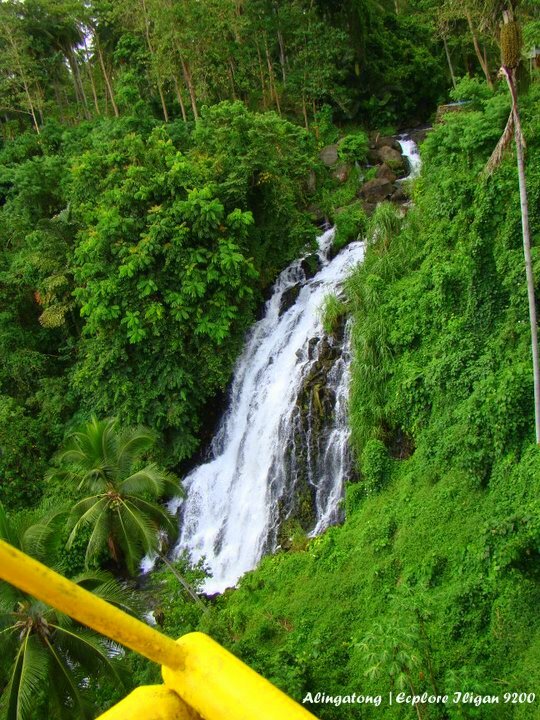 During the Tourism Triangle trip that we had last August 7, 2011, we viewed the beauty of the falls from above. We took aerial shots of the falls, when we were enjoying the cable ride at Iligan Paradise Resort and Eco Park, which is situated just above Mimbalut Falls. + From the Iligan City Plaza (Rizal Park) Ride a Mimbalut/Buru-un line Jeepney or simply Buru-un Line. The difference between the 2 lines is that the Mimbalut/Buru-un line Jeepney can bring you directly near the Mimbalut Falls but there are only a few of them,while the Buru-un line will drop you off at Sgt Miguel Canoy Memorial Central School. 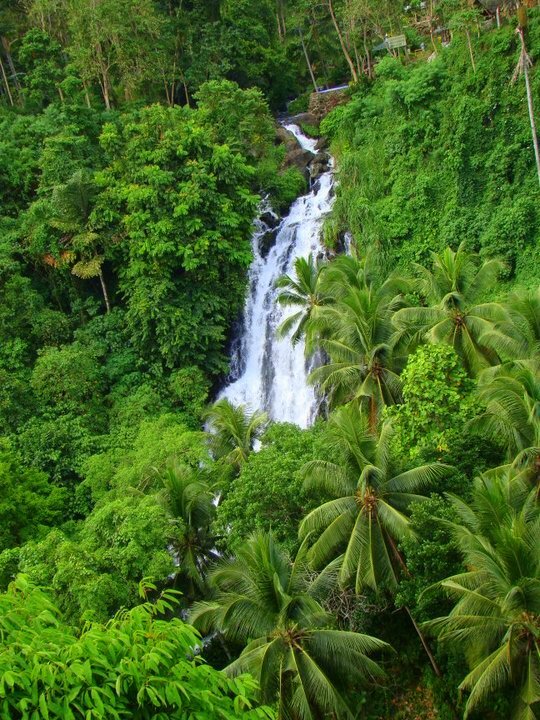 Mimbalut Falls is located in Buru-un and is about 20 minutes away from the city proper. + You can also use a PRIVATE CAR. Just travel the Macapagal Road up to Sgt Miguel Canoy Memorial Central School and then turn left before the Linamon Bridge going to Mimbalut Road.